I remember the moment that I found out that I had been shortlisted for four MAD Awards. I was at the top of a magnificent waterfall on the Isle of Arran and it was a beautiful sunny evening. The perfect excuse to pop open a bottle of Prosecco! To be a “successful” lecturer, our students need to be engaged and it is through this, that I gain my inspiration and energy to be innovative and put my ideas into practice in a way that is engaging and effective. Personally, I find it extremely rewarding to watch my students grow and develop throughout their journey from whatever background they have joined us from, to graduation and beyond. 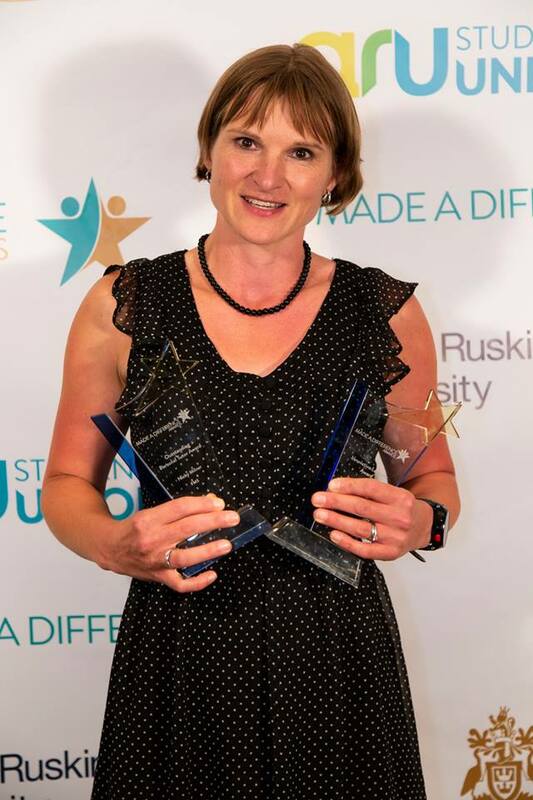 I therefore feel incredibly humbled to have won two of the awards that I was shortlisted for (innovative lecturer and outstanding personal tutor) and proudly display them at home. It was also wonderful to read the fantastic comments that my students had taken the time to write in their nominations. It is quite overwhelming to think that a moment that often passes so quickly has made a difference to the life of a student. I must therefore, offer my grateful thanks to my students who took the time to recognise these moments and also, to ARU Students' Union, for organising such a great evening awards dinner at the Manor of Groves – it was an awesome night, despite the fact that I actually, publically, danced to the Venga bus!! Check out the other 2018 MAD Winners!